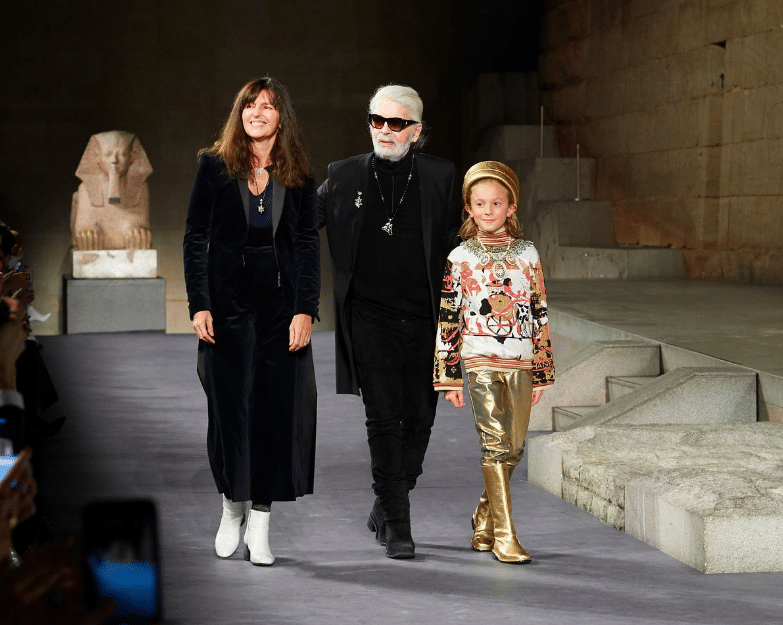 Karl Lagerfeld passed away at the age of 85 in Paris on 19th February 2019 and very quickly, French fashion house Chanel announced the appointment of his successor on Instagram, as if the contingency plan was drafted way before the death of the Kaiser. Meet Virginie Viard. 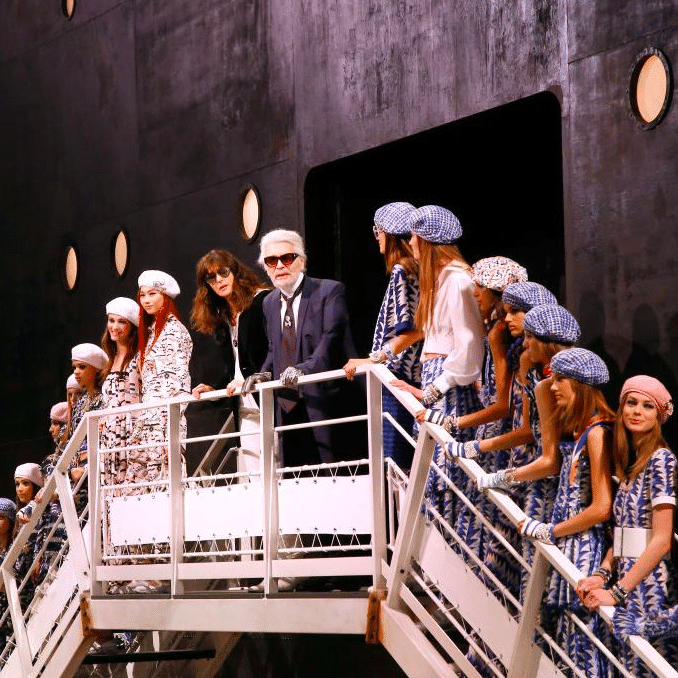 The director of Chanel’s Fashion Creation Studio and Lagerfeld’s right-hand for over 30 years has taken over as the creative lead of the brand – continuing the historic legacy of Gabrielle Chanel and Karl Lagerfeld. “Virginie is the most important person, not only for me but also for the atelier, for everything. 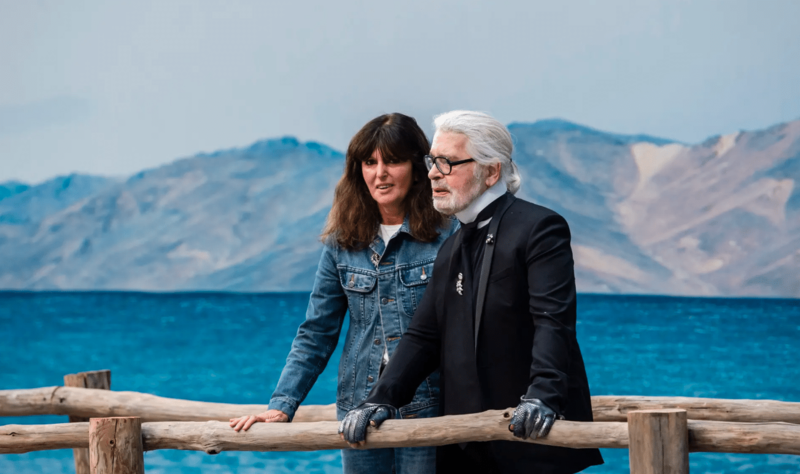 She is my right arm and even if I don’t see her, we are on the phone all the time,” said the Lagerfeld in Netflix’s docu-series 7 Days Out, which includes a 45-minute episode on the Chanel Haute Couture SS18 show. Viard took a solo bow after the finale of the Chanel couture show last month after Lagerfeld was said to be feeling ‘too tired’ to make an appearance. Viard who usually prefers to fly under-the-radar has been spotted walking alongside Lagerfeld in past shows wearing her long dark hair in a thick fringe and her usual combo of denim jackets, jeans and flat shoes. But her role has been significant all along. Viard has been bringing Lagerfeld’s sketches to life – she’s probably the only one who truly understands every stroke etched by the legendary fashion designer. It was as though her mind and Lagerfeld’s were in sync. “I visualise the show, get things ready for him, decide on materials, coordinate the teams and liaise with suppliers,” she shared. 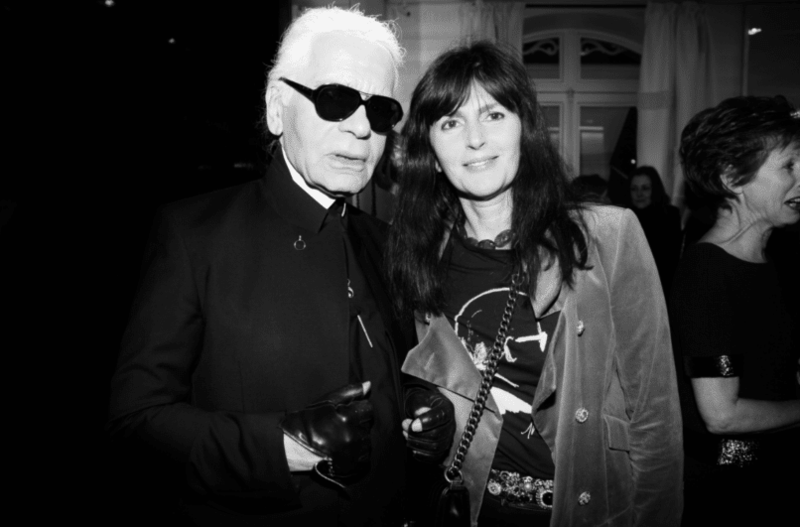 No words could describe exactly her experience working alongside Lagerfeld for over three decades. Whether he’s a colleague, a mentor or a boss, Viard confided that hierarchy is the last thing one would feel in the Chanel workroom. She studied at Le Cours Georges, a fashion institution based in Lyon, majoring in film and theatrical costume. While working with Dominique Borg on the film Camille Claudel, Viard had a chance meeting with Chanel. She continued to work with legendary glove-maker Madame Tribouillard and renowned milliner Maison Michel before she was invited to work as an intern for haute-couture embroidery at Chanel in 1987 (thanks to a recommendation to Lagerfeld by Prince Rainier of Monaco’s mutual friend); marking the start of a 32-year relationship with the late Lagerfeld. She is the heart of Chanel; the mediator between Lagerfeld and the ghost of Gabrielle Chanel (while some beg to differ), and the translator of Chanel’s code of aesthetics to the world. There have been no announcements as to how long Viard will be running the show at Chanel but the swift succession suggests that Chanel may follow the model of Alexander McQueen – McQueen’s closest colleague Sarah Burton took over when he died in 2010. Viard faces an uphill task as she puts her own spin on the reputable fashion house while honouring the legacy of Gabrielle Chanel and Karl Lagerfeld – both were huge influences on the world of fashion. “I like to think of myself as the one who helps his (Lagerfeld’s) vision come alive,” she once said but will she now do it the Kaiser’s way?